Shopping for Masters of the Universe Plush? 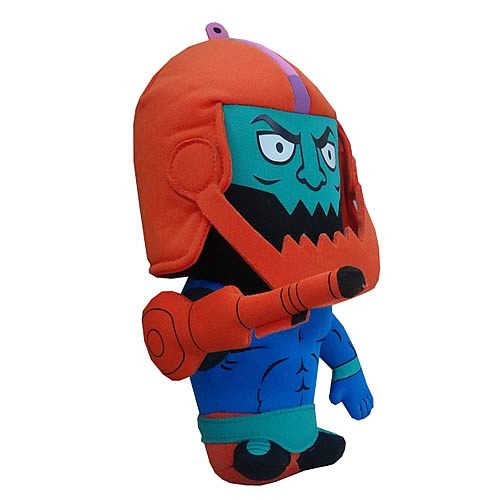 Trap Jaw from Masters of the Universe as a super deformed plush! Collect all the MOTU plush! Whether you use the 7-inch tall Masters of the Universe Trap Jaw Super Deformed Plush as a throw pillow or another awesome shelf display next to your Masters of the Universe action figures you're going to love the unique look of the weapons expert cyborg and villain. The Masters of the Universe toy line took the 1980s by storm and the name lives on eternally, on Eternia and planet Earth, with this awesome line of super deformed MOTU plush from Comic Images. Add to your Masters of the Universe collection today with this can't miss collectible plush, the Masters of the Universe Trap Jaw Super Deformed Plush! Ages 6 and up.